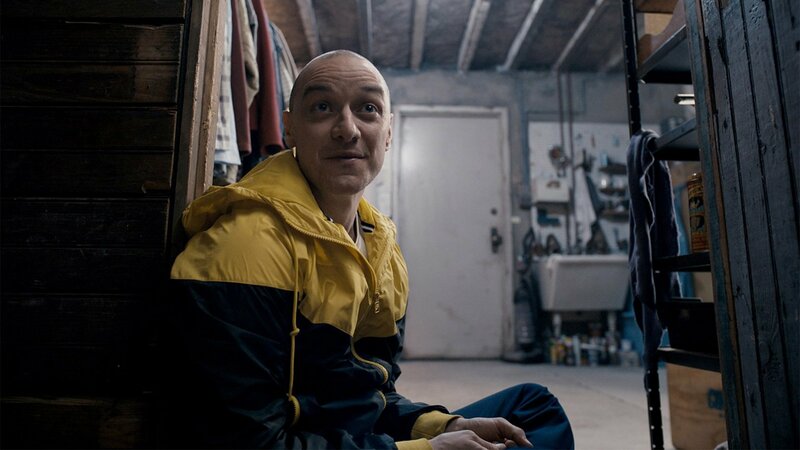 Arriving late to the party with 2015’s found-footage horror The Visit, writer-director M Night Shyamalan returns with Split, which follows sufferer of dissociative identity disorder Kevin Wendell Crumb (James McAvoy) and his twenty-three other personalities. We’re first introduced to McAvoy as Dennis, as he’s abducting three teenagers, Claire (Haley Lu Richardson), Marcia (Jessica Sula) and Casey (Anya Taylor-Joy). While being held captive in an underground cellar, the girls meet the other sides of Kevin, including nine-year-old Kanye West fan Hedwig, prim and proper Patricia and trendy fashionista Barry. After a number of failed escape attempts, Casey emerges as the leader and through flashbacks, we relive her troubled childhood. McAvoy undoubtedly steals the show, managing to be impressive and equal parts hammy, remaining compelling despite the film veering down unexpected roads. Contrasting and complementing McAvoy’s multiple audacious performances is a quieter outing from the immensely talented Taylor-Joy. Mainly serving as exposition, but still offering a heartfelt performance is Betty Buckley as Kevin’s psychologist Dr Fletcher. Exploring the impact of mental illness and abuse but lacking substantial weight to do so with any lasting impact, the film also fails to build any lasting tension to suffice as a run-of-the-mill thriller. Luckily its committed cast grant Split a hesitant recommendation, perhaps just to witness McAvoy working overtime. Despite being bolder and more refined, Split falls into the same territory as The Visit. A step in the right direction, but lacking the class of M Night Shyamalan’s earlier work. A very stylish site, Mel. Keep up the great work!